What: Watch the basketball action at Red Bar and Lounge where up to six games will be shown on the bar&apos;s 10-foot TV. $4 bottled beers will be offered during every game. What: This four-course dinner combines great food with great beer from the North Coast Brewing Company. Culinary highlights include Lobster and Taleggio Cheese Spaetzle and Suckling Pig Porchetta with pickled vegetables. When: Sunday, April 1. Seatings will be at 10:30 am, 12:30 pm, and 3 pm. 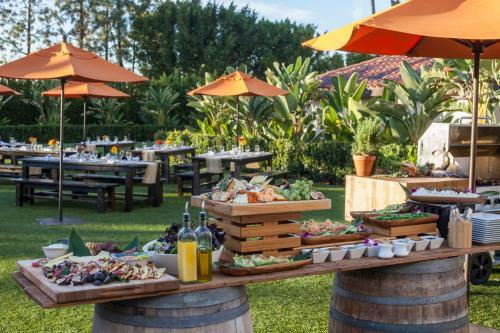 What: Enjoy an Easter egg hunt, pictures with the Easter Bunny, and a superb buffet in The Backyard, Hotel Irvine&apos;s fabulous outdoor hangout spot. Buffet highlights include Brioche French Toast, Roasted Leg of Lamb, a build-your-own mimosa bar, and a variety of desserts (gelato cart, anyone?). Cost: $65 per adult, $20 per child ages 5-12. Under 5 are free. When: Sunday, May 13. Seatings will be at 10:30am, 12:30pm, and 3pm. What: Enjoy Mother&apos;s Day in The Backyard where a Farmer&apos;s Market-inspired menu is sure to delight. Local jams, honeys, and fresh flowers will also be available for purchase. For reservations for any of these events, call 888-230-4452. When: Weekdays from 3 to 7 pm. What: Come on get happy! Head over to Red Bar and Lounge after a long day of work because select food and drinks are half off. When: Weekdays from 5 to 7 pm. 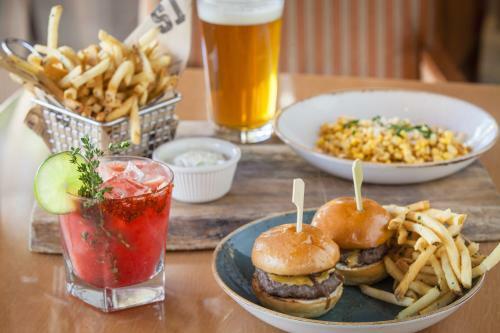 What: EATS Kitchen & Bar is happy to bring you $3 bites, $4 draft beers, $5 craft cocktails, and $6 wines in the bar. When: Saturday and Sunday from 10 am to 2 pm. What: EATS offers a wonderful brunch every weekend which includes favorites such as Eggs Benedict, Orange Blossom French Toast, and a mean Avocado Toast. 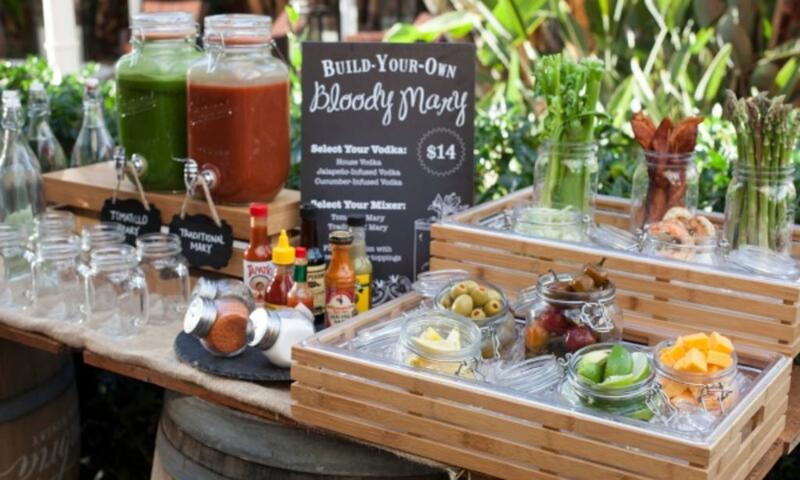 Beverage highlights include mimosa flights, $10 bottomless mimosas, and a fun $14 build-your-own Bloody Mary bar. Good to know: Kids 12 and under eat free at Eats Kitchen & Bar during dinner service. What: $2 tacos and $5 margaritas are offered at both restaurants. Different tacos are offered each week, great incentive to make Hotel Irvine your regular Tuesday night spot. What: Got oysters? EATS Kitchen & Bar does! 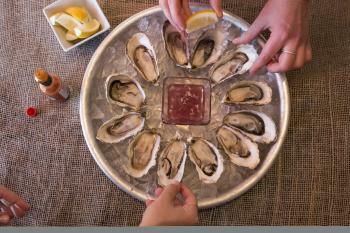 Premium varieties, such as Skookums, Fanny Bay, Chef&apos;s Creek, and Phantom Creek are served up with a Bloody Mary granite, shallot mignonette, cocktail sauce, Tobasco, and lemon wedges. Minimum of six per order. For more information, visit HotelIrvine.com.